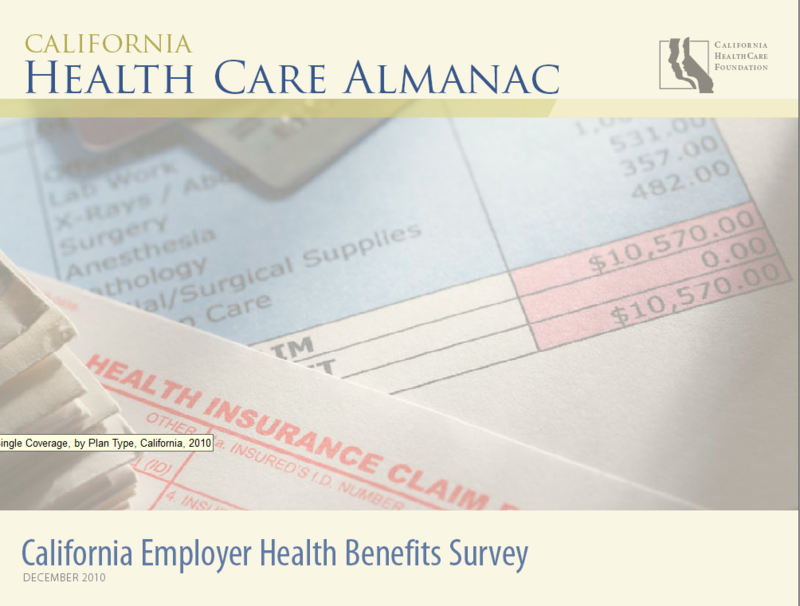 According to the recently released 2010 California Health Care Foundation survey of health care trends, there are some significant changes to premium costs and employer contributions in 2010. 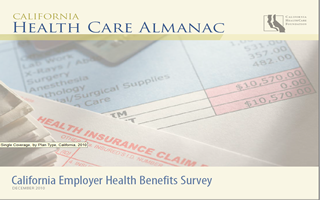 Sixty-nine percent of California employers offer health coverage, identical to the national rate. Health Insurance Premiums increased 8.1% in 2010, compared with a 1.8 percent increase in overall consumer prices. Since 2002, premiums have increased 134.4%, more than five times the 24.5% rise in California’s overall inflation rate. Single coverage premiums in California average $5,463 annually, a great deal higher than the national average of $5,049. Premiums for family coverage were $14,396. Twenty-four percent of the employers surveyed paid 100% of the employee premium costs. Twenty-eight percent of California firms either reduced benefits or increased cost sharing for employees in 2010 as a result of the economic downturn, up considerably from the 15% who did so in 2009. Four percent of California employers now say they are very likely to drop coverage completely, compared to just 1% as recently as 2008. So what may happen in the future regarding health care for employees? Some employers report that they are “very likely” to increase the portion of premiums paid by employees. Four percent of respondents report that they probably will drop health coverage, compared with one percent of employers stating this in 2008. Applying for an individual plan? Better be a Broker! 1. October 2010 – the application was completed online. Long and complex. On the plus side, easier to complete than most government forms. 2. Telephone interview completed. Confirmed that memory problems exist that were not requested on the application by virtue of having to try and remember every doctor visit for the last 10 years. Telephone interview requested from 19 year old daughter. Not sure if my friend wants to know about the daughter’s anwers on alcoholic beverages consumed…. 3. Called the unnamed carrier at the end of November for status. Was advised that a request for medical records was issued at the beginning of November, but was not completed. Doesn’t anyone follow up on these things??? My friend contacted her Doctor and had the records faxed to the carrier. No help given by the carrier. Thanks Dr. S.
4. After a minor tantrum on the part of my friend the Broker, finally got ahold of a very nice person in underwriting who was able to expedite the application on a 3 day turnaround. Received a verbal approval from the phone rep.
5. The same day as #4, received a letter requesting a signature for the 19 year old, and that her status was pended until this was received. Made furious phone call to the unnamed carrier requesting clarification. Faxed requested signature. 6. Received call from Copy Service assigned by carrier for medical records faxed over 2 weeks ago. 7. Called the next business day and spoke to a very nice rep named Rachel (my friend promised her a favorable mention in the blog) who informed the red faced and frustrated applicant that it will be another 15 days at most until the signature is reviewed and processed. In case you haven’t guessed by now, the frustrated applicant is me, and this is my tale of woe. In the grand scale, this is a minor mess and will be resolved. However, as I was going through all of this hassle I kept wondering how an applicant without knowlege of the system and having the leverage that a broker has deals with all of this. Surely my experience can’t be all that unique. In spite of the unfavorable reputation of brokers today (think of the movie Groundhog Day), we do serve a valuable purpose to insureds, and potential insureds. We can save others from dealing with the messes dealt by the carriers. We can save you the time and frustration of dealing with applications, benefit and claims questions. We can help you, based on the experience ank knowledge we have of the industry. Isnt it better if we are red faced and frustrated and not you?